I LOVE Godiva. I love the chocolate, the stores, the little boxes, the chocolate dipped strawberries in the window. I even love the cute little old lady at The Galleria store who can't run the register. I love her not only because she has the sweetest voice, but also because she signed me up for my new Godiva Rewards card! 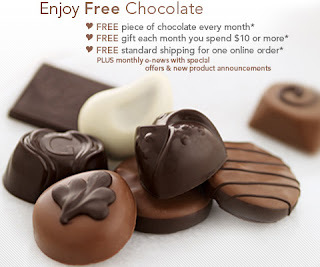 If you like chocolate and haven't signed up for the Godiva Rewards card, you are missing out! It's awesome! All you have to do is sign up. There is no fee and there are no purchase obligations to get FREE chocolate! Once you are a rewards member, you can walk in to any Godiva store and get a free piece of chocolaty velvety goodness once a month. Since I only go to The Galleria about once a month, that means that I get to reward myself for finding rock star mall parking each time I go! You too can delight in your own little piece of heaven. Just click on the ad above to sign up. 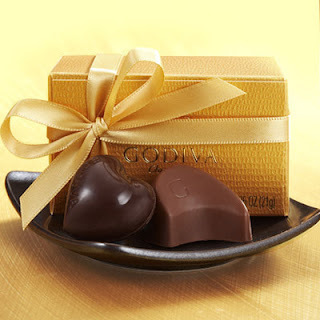 Did you know that Godiva has recipes on its website? They have recipes for everything from drinks and cheesecakes to breads and ice cream! 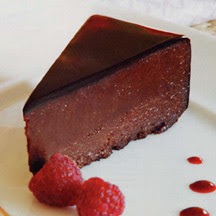 Click on the scrumptious picture above (Chocolate Ciao Cake) to go directly to their recipe book. My favorite Godiva goody is the original dark chocolate truffle rolled in cocoa powder but lately I've been on a dark chocolate coconut macaroon kick. I just can't resist those chocolate capped mounds! What's your favorite?